If you’re on the go and travelling a lot, its quite difficult to eat healthily as a lot of take away or processed packets of food are full of refined sugars and fat and even the ones that say they’re healthy on the pack tend to be filled with chemicals and lack any real nutritional value. 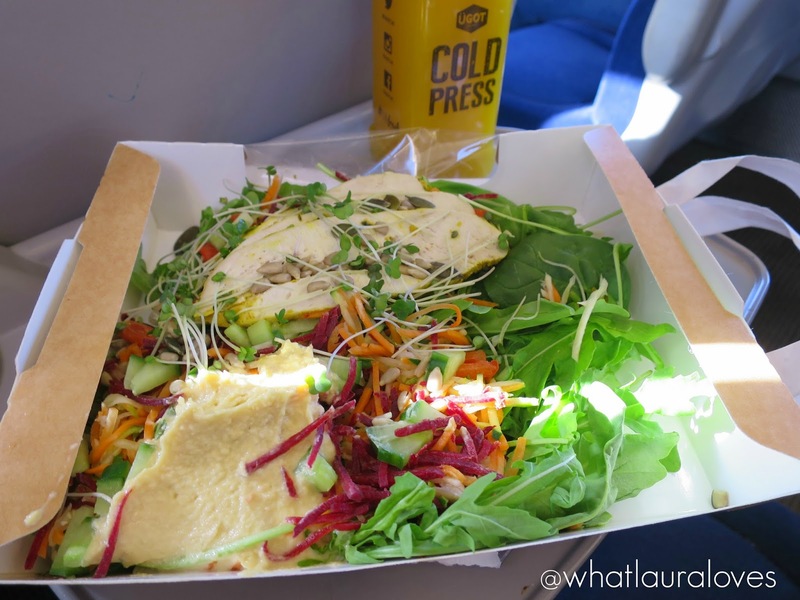 When I’m getting the train somewhere for a blogging event, I like to take something to munch on for the journey as Newcastle is pretty far away from where the majority of blogging events are held. On my last trip, I saw that the train station itself had recently had a revamp and I was really pleased to see that there was a lot more variety available, after all, not everyone enjoys pasties! The healthiest and freshest of the food choice available came from a relatively new company called UGOT who were started by two young guys fresh out of uni who were frustrated with the unhealthy options and lack of decent places to grab food on the go on the highstreet. They pride themselves on serving ‘honest food fast’ and currently have two eateries, one in Newcastle train station and one in York train station. 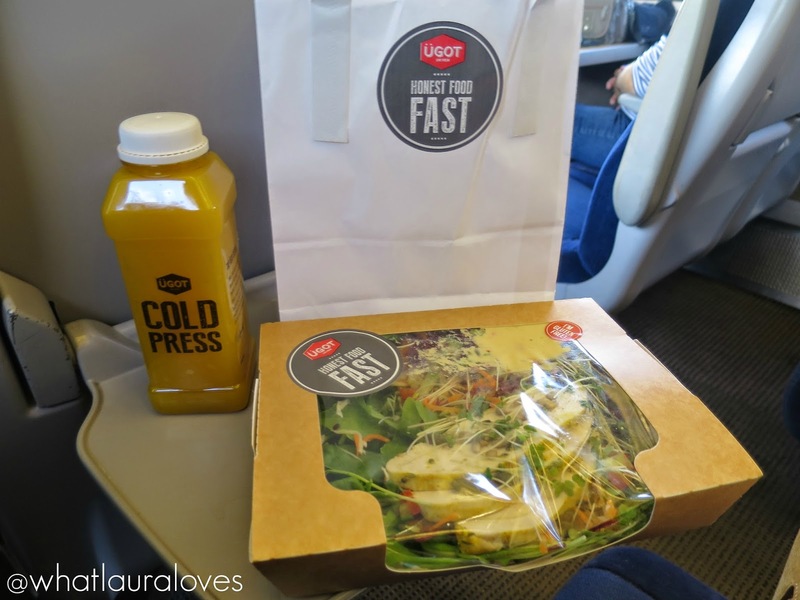 The lovely people over at UGOT invited me over to grab a spot of lunch on my next train trip and even though I only had minutes to spare before my train, I made sure to pop in to the trendy eatery to see what they had to offer. The staff were incredibly friendly and left no stone unturned when telling me what they had to offer from porridge pots, salads and wraps to juices, fresh fruit and yoghurt. Their knowledge of the food they were serving was so vast, they really know their stuff and whats even better is that you can tell how proud they are to serve it. I picked up one of their delicious Cold Press juices which are packed full of nutrients and naturally sweet, as well as a chicken salad which is the freshest I have ever eaten and a far cry from those pre packed ones in plastic boxes that have sat their for days in the chiller cabinet of a convenience store. My salad was packed full of spinach, rocket, cress, hummus, carrot, beetroot pepper, chicken and seeds. All of the flavours stood out and could be easily identified which is unusual for food on the go as I tend to find that sometimes they can just have this blanket taste. Either that, or they’re that covered in mayo you wouldn’t have a chance of picking out any of the flavours anyway. I thoroughly enjoyed both my juice and my salad, it was incredibly filling and kept me feeling full right through until the evening. Eating healthy, tasty and deliciously fresh food is not only good for the body but it is good for the soul too. Knowing that I’d made the right food choices at lunchtime certainly gave me a spring in my step! If you’re looking for the freshest ingredients around in food that is free from nasties and preservatives then you have got to try UGOT. The next time I’m catching a train I’m definitely going to head back and try out some of their hot food. I love everything that UGOT stand for, right down to their recyclable packaging and the composting of their kitchen waste. They’re a company who care and with more stores planned to open shortly, I hope to be able to visit a UGOT no matter what station I’m at! Join them on Facebook here. How Do You Store Baked Items? I've not been into Central Station since it was revamped. It looks much better now. Will have to look out for this place, I much prefer a healthy lunch option and this looks great. Their skinny lattes are fab too! I've been a bit under the weather and uninspired by food recently, but I've just looked at that and thought "I want to eat it now!" – I really hope the UGOT guys head down south soon. It must be tough making a business profitable with rents as high as they are though!